Earlier this year we wrote about the Austin Hatcher Foundation for Pediatric Cancer, noting that the foundation has always had a relationship to cars and racing. Earlier this year our, we wrote about the Austin Hatcher Foundation for Pediatric Cancer, noting that the foundation has always had a relationship to cars and racing. Jim and Amy Jo Osborn met at a race, where she was a photographer working on an assignment to cover a spinal surgeon who was giving professional race car drivers a run for their money. Later, the photographer and the doctor dated, were married and had a son, Austin Hatcher Osborn, born August 15, 2006. Just 8 weeks old, “Hatch” was diagnosed with malignant tumors on his brain and down his spine; cancer had taken over the baby’s central nervous system. After their son’s death, the Osborns launched a foundation in his name to provide services for other families in similar situations. The cause got the attention of automakers, SEMA, Barrett-Jackson, and the Goodguys Rod & Custom Associaton. Now, with Goodguys, Speedway Motors has donated to the Austin Hatcher Foundation Autocross for Kids program. 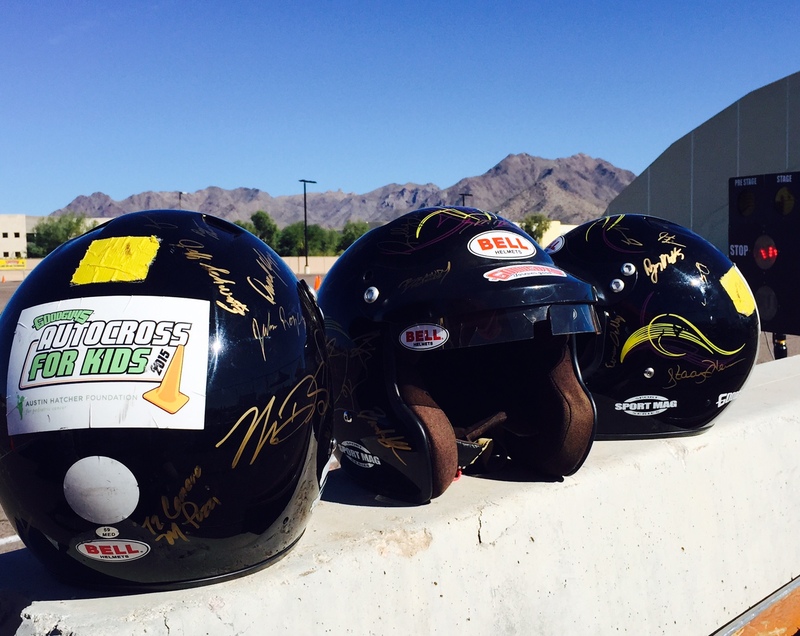 This month, three autographed helmets from the Goodguys 18th Southwest Nationals in Arizona are being auctioned with 100 percent of the proceeds benefiting the foundation. 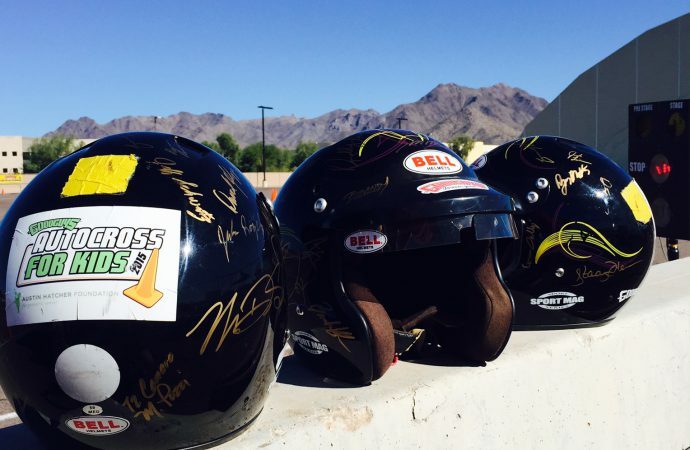 The helmets have been autographed by two-time Indy 500 winner, Al Unser Jr and nine-time Pikes Peak Hill Climb champion, Robby Unser, as well as by SCCA Solo champion Brian Hobaugh, and Mary Pozzi, Bret Voelkel, and Danny Popp. The bidding closes December 19.